Its a typical Friday. Im alone in the store all day. Its going to be hot today. As of this morn Im all caught up in the store from being out 4 days. My office is a mess. And that means its back to normal. As in every Friday I plan a weekend of riding. Saturday, road ride to coffee, then work. Sunday is a road ride for lunch with a group. Its been like forever that I rode with “the group”. Should be fun. On my mind ongoing is the one week away cross race I put on. Im pretty sure I have things taken care of. I wont start to panic till Wednesday. I am in what one would call a busy period. Which started last week with the fam vaca. Then a week off and my cross race, then a week off and then Interbike Vegas. Then a week off and the WORS MTB race. Then a week off and then I marry off one of my daughters. That takes me right to Oct 20th. I think Im open after that. In my mind its one thing at a time. Vacation down, next is cross race. One thing at a time. Concentrate. Get out side this weekend. My posting schedule is all screwed up. 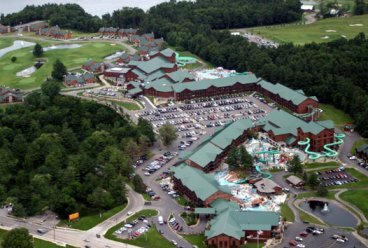 Its I was out getting some family time in as we spent 3 full days at Wilderness Resort in Wisconsin Dells. Its hard to believe that its Thursday and I went almost an entire week from posting. But time off is time off. Spent some quality time with the kids and grandkids. With absolutely no bikes involved. The resort is huge. And really not my kind of thing. So many people. Everywhere. But the kids and especially the grandkids liked it and it was nice to get away and do something different. If you read this blog you are most likely into biking pretty deep like I am. Its my hobby and my business And sometimes thats a problem. Sometimes you need to get away from even your hobby. I know some people or even some couples that ride a lot. They go away on weekends to ride. Take a day trip to ride. Head up north to race and\or ride. You know of any couple who found each other while riding? And pretty much only ride. They cant take a weekend alone without the bike. I see it in the store all the time. If they went on even a weekend out of town without the bikes they would be lost. They would not know what to do. Since its my business I need some time away from this every once in a while. Not just the store but bikes in general. Just relax and forget about life for awhile. So even tho the last few days would not have been my personal choice of things to do, it was nice to hang with the fam and forget about bikes for a few days. Anyway, thats what Ive been doing the last bunch of days. That said, Im prepping for a ride as soon as another person gets to the store. Since I missed last year Im getting pumped for Interbike. Flights, hotel and car are booked. I spend a relatively short time in the actual show. Maybe 5 hours max all week. Maybe more this year as its been revamped. On paper it sure looks like they improved it. But my real reason to go is CrossVegas. Its a spectacle that should be on your bucket list. Tons of Euro’s will be there. Sven Nys this year among others. All the top US riders. All of them. Ten thousand spectators. Some of the top riders go for fun. Last time I was there in 2011 Danny Summerhill was going out of his way for dollar bills. I think he got off his bike once to pick them up off the ground…. But most are there to race. Ive been to three of them so far. This will be my fourth time. Small video from 2011. Its like this for a hour. Besides the pro’s they have a no category race for dealers and manufacturers. This race is over 200 riders strong. At one time. Carnage and beer all over the place. Anyway.. like I said. Bucket list this thing. Its four short weeks away and I have my own cross race to deal with in between. Things are going well for that I guess. All the paperwork is in place. I have all the stakes and tape ready to go. Still working on schwag and awards. I’ll post more on this stuff later.